Do you really know how or why your face ages? 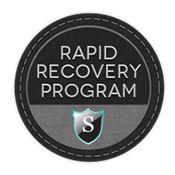 At Smith Cosmetic Surgery, we find that this is one of the most commonly misunderstood processes. In fact, this confusion often leads unsuspecting adults to choose the wrong things to try to turn back time. Usually one of two things happen: Either people notice a distinct sign of aging and try a series of topical products that are marketed as beauty “cures.” When they see no effect from the application of a serum on your already aged face, they move on to the next product. Or, patients try more invasive treatments that are not yet properly tested or approved by the FDA, only to be left with unwanted, unnatural looking results. The first thing that Dr. Brent J. Smith does during the complimentary consultation he extends to each and every Smith Cosmetic Surgery patient is to cover some quick facts about how and why our skin ages. While there are certainly some big environmental factors, such as sun exposure, that can lead to premature aging there are also some very personal genetic factors that are exclusive to each and every individual. In fact the combination of dynamics behind aging skin are truly as unique as every face we see. So let’s address some of the biggest culprits of naturally or prematurely aging skin. Genetics: This is your mother’s skin. When patients inquire about the one thing they can do to prevent wrinkled, sagging skin, Dr. Smith always responds: “Choose your parents appropriately.” All joking aside, there is not much humans can do to change their genetic makeup. So if your parents had tricky skin—acne, fair skin, freckles/dark spots, early wrinkles, expression lines, etc.—there is a decent chance you may experience some of these issues as well. Similarly, we inherit genetic codes for producing special enzymes that act as antioxidants to help correct damage to individual DNA. Our personal degree of age-fighting cellular power also comes from our parents. That said, you are in control of some environmental and many lifestyle factors that can exacerbate these genetic tendencies, leading to dulling, and sometimes, drooping facial features. Environment: Especially in Colorado, where Dr. Smith sees patients who may see the sun more than 300 days a year, exposure to dangerous UV rays is a serious concern in our state and many others around the country. The dryness of the air at altitude only adds to the parched look and feel of skin in this part of the U.S. However, wherever you live there are a variety environmental factors that can play a part in prematurely aging facial skin. There’s exhaust, smog and poor air quality in urban centers. Even people who live in rural communities can be exposed to airborne toxins on farms and ranchlands, or smoke from wood-burning stoves. And in warm climates, people constantly vacillate between skin-tricking air conditioning, outdoor humidity and forced-air heat in the winter. All of these external aspects can contribute to the general health of our skin. Lifestyle: Of course, many of the things that affect our skin most directly can be attributed to the lifestyle choices we make. Smoking is by far the most destructive. It’s easy to pick out a smoker’s face from a non-smoker’s. It usually includes a combination of distinct pucker lines, under-eye bags, discolored skin and deep wrinkles. Additionally, smoking creates free radicals that reduce the elasticity and collagen that keeps facial skin firm. Other lifestyle habits, such as not getting enough regular sleep or eating a diet poor in protein, fruits and vegetables, can also lead to skin that ages more rapidly. Likewise, perpetual stress should not be overlooked as a contributing factor for aging skin. Now that you know that genetic, environmental and lifestyle factors can play a part in how your skin ages and looks during your lifetime, it’s also important to set some expectations around how all faces will age naturally over time. Everyone in the world will show somewhat similar signs of getting older if they do not take preventative or surgical measures to slow or erase the visual effects of time. We start losing our “baby” faces around age 35. Generally, between age 35 and 45 our faces take on a more sculptured look as we lose more fat in and around our eyes, cheeks and mouths. After that mid-life period, our faces start to look a little more gaunt, and wrinkles that may have already existed start to appear more prominent. Over a lifetime, it is natural for the muscle and tissues of the face, jawline and neck to relax, descend and deflate as we lose fat in our faces. And, of course, depending on the range and severity of exposure, all the variables we discussed above only contribute to the overall look of an aging face. Understanding the ways our faces age naturally and vary in genetic predisposition helps patients think sensibly about cosmetic surgery. Having a plan for the right procedure, the right time to institute a long-term solution and the right methods for maintaining a healthy new look results in aesthetic harmony. In many ways being educated about what you can control—and what is handed to you when you’re born—is really helpful when setting expectations around what a face lift can achieve versus a non-surgical treatment like a laser or peel. One of the first things we must alert patients to is the fact that simply no product, injection, treatment or device on the market today can actually tighten the facial muscles that have relaxed over time. This must be done manually through a surgical procedure customized for each individual face. To help facelift candidates understand just how Dr. Smith achieves that naturally supple look of youth, we explain surgery as a three-pronged approach: elevating, adding and enhancing. Elevate: During each facelift, Dr. Smith makes hidden incisions to allow for the manipulation of skin, tissue and, most effectively, muscle. This is what draws a sagging face back to a more youthful position. Yet lifting muscles and the overlying skin upward is only the first step. We haven’t yet added any fat back to fill the voids that are so common in aged features. Add: Next Dr. Smith can actually take fat from another area of your body where you don’t need it and add it to where you do: your face. This injection of natural body fat to the face essentially uses a natural compound already existing in our bodies to create fresh volume and support lifted muscles in the features that have become most depleted over time. Enhance: Once Dr. Smith has helped a patient achieve both a more naturally elevated and volumized look, we finish the job with a laser treatment to further enhance the new look. Surprisingly, sometimes this final step is what makes the most remarkable difference. Once you have achieved more volume and balance, a laser treatment, which Dr. Smith adjusts for the requirements of each patient, can create that youthful glow we’re all looking for. Lasering surface imperfections or damage and allowing new skin to regenerate, actually compliments new musculature and facial accents. One of the most important aspects of our jobs at Smith Cosmetic Surgery is education. 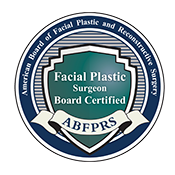 We want our patients to truly understand the science and art behind a facelift. If you are starting to confront unwanted signs of aging, we invite you to come in for a free consultation. Remember, most of these effects—wrinkles, muscle deflation, fat loss—are not your fault. They are genetic. And environmental. And perhaps the result of a happy life lived outdoors. But luckily there is something you can do right now to turn back time.